The media refer to #1 selling artist, Aubrey Loganas “The Queen of Sass.” And it’s easy to see why. 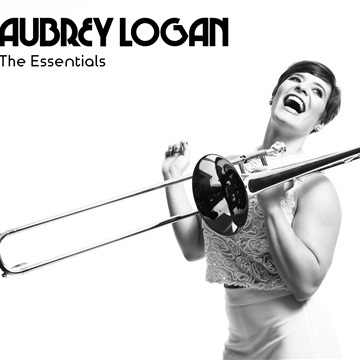 Her concerts are a mix of excellent musicality, jaw-dropping vocals, expert trombone-playing,a breathtaking array of originals and original takes on cover songs and, well...fun!Her heart wrenching musical stories has audiences in tears just before her comedic relief has them in stitches.Aubrey Logan loves music, lovesperforming and loves her fans. And it shows. “My relationship with the audience is the most fun I can legally have!” she says. Very few artists can concentrate so fully on the music and yet be so connected to the people who have come to hear her. And that connection is magic.Aubrey has seen a lot of recent success. Her debut album, Impossibleimmediately shot to the top 10 on the iTunes, Billboard and Amazon charts. And her next appearance on Summer Horns II, from A to Z(as a special guest of DaveKoz on Concord Records) became the #1 selling Contemporary Jazz Album. Aubrey has spent more time at the top of the charts lately than she has in an airport,and travel has been a permanent fixture for her in the last couple of years.Aubrey Logan has performedmore than 250shows since 2016. Besides countless dates touring as a guest star with Postmodern Jukebox and another nationwide tour with Dave Koz and his all-star lineup, Aubrey has been selling out her own shows in venues all over the US and Europe.First coming to international attention after winning BOTH the prestigiousMontreuxJazz Festival Jury and Audience-Choice awards, Aubrey has gone on to perform with Pharrell Williams, Seth McFarlane, Meghan Trainor, Josh Groban, Gerald Albright, Haley Reinhart, and countless other legends. Her appearances on Jimmy Kimmel and The Grammy Awards and a PBS special and London Live have kept her in the public eye and millions of fans have watched her head-spinning videos on YouTube and Facebook. It seems like everywhere you turn, you’re bumping into Aubrey Logan.She’s now preparing for aUS Tour, a European Tour, an Australian Jazz Cruiseand the recording of her next album. So no need to worry....there’s no shortage of “sass”in our immediate future.